Nashville synth-rock act, Daniel Ellsworth + The Great Lakes, are alchemists in the music laboratory. 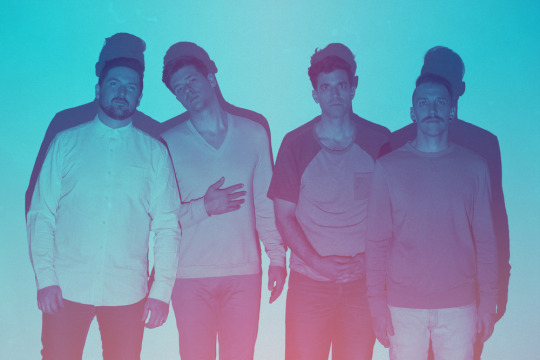 At the juncture of electro-pop, indie-rock, and pure funkiness, the group creates music with swagger, mindfulness, and an irrefutable spark that can set any night on fire. Their EP, Chapter Two, which is one slice of a three part series, is exclusively debuting on Ones To Watch. If you’re ready to dance and just feel good, here’s your first listen before the album drops April 27. Ellsworth’s charming vocals and hypnotic keys lead the band. In addition, Joel Wren adds heart-pounding drums, while Timon Lance provides the glistening guitar work. Marshall Skinner delivers the gleaming vibes on bass. The group’s latest EP features three tracks, including the previously released “Wonder Woman.” With the song’s infiltrating groove and infectiously melodious tone, the exhilarating jam will elevate any mood one may find themselves in. In fact, the entire collection here will give you enough audacity to get out there and conquer anything your heart desires, no matter how big or small it seems. Diving headfirst into subjects such as the complications of growing older, no matter your age and the inevitabilities of the triple Ds of life—doubt, discovery, and death. DE + TGL are playing it cool with poise, vitality, and a newfound hunger that’s reinvigorating in every sense of the word. Ellsworth and his bandmates may be feeling the weight of the world crashing down around them, but they’re about to go for broke this year. Hey, no matter what the outcome, they’re doing it in style. Daniel Ellsworth + The Great Lakes have released two LPs—2011’s Civilized Man and 2014’s Kid Tiger. To shake things up this time, the quartet decided to release their third LP, Fashion, in three parts. The first EP, titled Chapter One, debuted in January, with the Chapter Two EP being released tomorrow and the full album to follow later this fall. Listen to Chapter Two below and check out Daniel Ellsworth + The Great Lakes on Facebook and Twitter for the latest updates on their releases and tour dates.